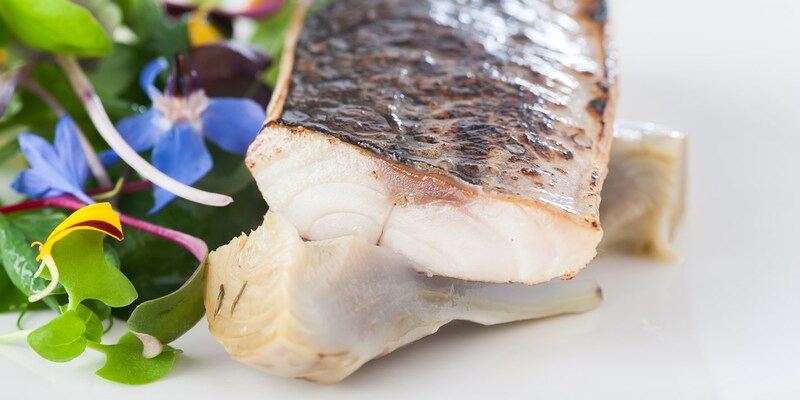 Cooking fish at a very low temperature ensures consistent even cooking which is beneficial when cooking small fish fillets such as mackerel. After the desired result is achieved in sous vide it is advisable to finish the mackerel in a very hot pan so as to crisp up the skin for added texture and flavour. To add extra flavour to the fish you could add flavoured oil such as chilli oil or garlic oil to the bag. You could also add black pepper or lemon rind. Just be careful not to add anything acidic as it will cure the fish and spoil the texture. Mackerel makes a delicious summer starter. Try Nathan Outlaw's Mackerel, tomato and samphire salad. Dominic Chapman serves his seared mackerel with beetroot, horseradish and watercress.